This engrossing narrative begins with three Dutchmen atop a mountain of gold in Netherlands New Guinea in 1936 and ends with the assassination of US president John F. Kennedy in November 1963. Brisbane-based academic Greg Poulgrain also takes readers through pre-war Constantinople and Paris to the Belgian Congo for the 1961 death of UN Secretary-General Dag Hammarskjold. His purpose is to build a string of evidence to accuse legendary US Director of Central Intelligence Agency (CIA), Allen Dulles, of sabotaging third world leaders and others who threatened American strategic and commercial interests. In particular, he contends that Dulles, the brother of formidable Secretary of State, John Foster Dulles, worked tirelessly to destabilise the rule of Indonesia’s mercurial president Sukarno in the 1950s and 60s. Crucially, Poulgrain questions how history would have unfolded if the US had not trained the Indonesian military to be a pro-Western ‘state within a state’. This action paved the way for the brutal Suharto regime which unleashed the bloody anti-communist purges of 1965-66. Moreover, he asks the intriguing question of what would have happened if Kennedy had dodged the assassin’s bullet and survived to implement his alternative strategy to use massive civic aid to bring the archipelago into the Western camp. The charismatic US President had been planning to visit Jakarta in early 1964 in a bid to restart the aid program and seal an agreement with Sukarno to end the ‘Konfrontasi’ campaign against Malaysia. 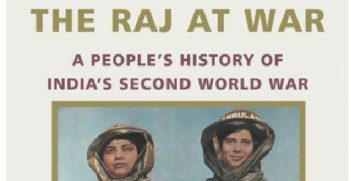 With Kennedy gone, Sukarno turned against the West and his country rapidly slid into crisis. Poulgrain is a historian with a hands-on approach, who cultivates long-standing relationships with some of the characters in his narratives. While researching material for an earlier book, The Genesis of Konfrontasi, he lived for months with A.M. Azahari, the nationalist politician blamed for the 1962 Brunei Revolt- a major event in the lead-up to the Indonesian-Malaysian Confrontation. 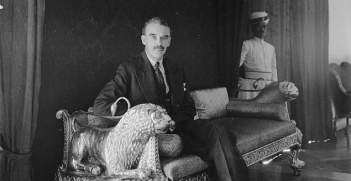 This leads Poulgrain to conclude that Britain played a key role in provoking the Konfrontasi because it wanted to get its hands on Brunei oil. While researching Incubus, the author interviewed Jean Jaques Dozy, the Dutch geologist who discovered the Ertsberg and Grasberg gold and copper deposits in Netherlands New Guinea in 1936. This was indeed an ‘El Dorado’, the biggest gold find in history but it was not until 1972 that the US company Freeport McMoran started mining in the area. Poulgrain is of the view that the Dutch colonial authorities and US corporate interests concealed the true nature of the find until it could be securely exploited while Dozy attributes the delay to the extreme challenges of mining at high altitudes in such a remote location. Poulgrain also draws on interviews with Joseph Luns, the Dutch Foreign Minister who served as NATO Secretary-General, General Nasution, Indonesian Defence Minister (1959-66) and George Ivan Smith, the Australian diplomat who worked closely with UN Secretary-General Dag Hammarskjold. At the centre of his narrative is Allen Dulles, the lawyer-diplomat who became the most powerful Director (1953-61) in the history of the CIA. The author argues that Dulles had a number of motivations for wanting Sukarno to be ousted by a military-led regime that was aligned to the West. As well as seeking an anti-communist crackdown, the wily American had brokered deals between the Dutch and US oil interests in the 1930s and knew about the Grasberg gold bonanza. The high point of US efforts to dislodge Sukarno came in 1958 when the CIA, aided by Australia, backed regional rebels in Sumatra and Sulawesi with munitions and air cover. The campaign was a farcical flop with pro-Jakarta troops under General Nasution quickly routing the rebels. In the wake of this failure, Dulles concentrated on cultivating support among anti-communist Indonesian generals. The author also believes that the CIA exploited the Konfrontasi crisis to deepen the Sino-Soviet split. Poulgrain emphasises that Dulles was a ruthless man and was willing to eliminate undesirable foreign leaders. In particular, he cites the finding by a US congressional committee that the CIA Director authorised the 1961 assassination of Congolese Prime Minister Patrice Lumumba. He also cites documents uncovered by South Africa’s Truth and Reconciliation Commission, which implicate the CIA in the death of Dag Hammarskjold, who perished in a highly suspicious plane crash in Zambia in September 1961. According to Poulgrain, Hammarskjold wanted to send UN officers to Netherlands New Guinea to administer special UN aid funding at a time when Jakarta and the Dutch were wrangling over control of the territory. Such a plan would have enhanced the chances of Papuan independence and would not have been helpful to Dulles’s Indonesia strategy. In his introduction and again in the concluding chapter, Poulgrain compels readers to consider whether Allen Dulles may have even been involved in Kennedy’s assassination in an attempt to thwart the US President’s Indonesian strategy. This reviewer does not buy this idea but no doubt some will find it an intriguing possibility. 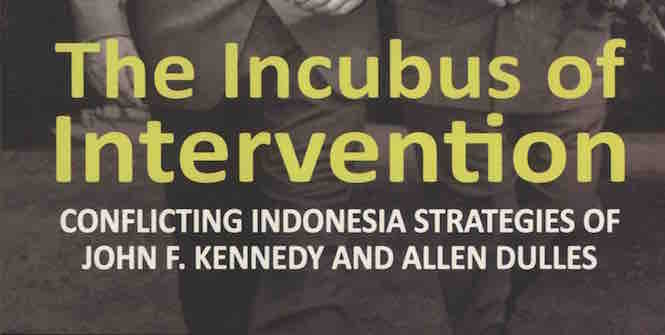 Greg Poulgrain, The Incubus of Intervention: Conflicting Indonesia Strategies of John F. Kennedy and Allen Dulles, Strategic Information and Research Development Centre, 2015. David Costello was Foreign Editor of The Courier-Mail from 1994-2012 and currently is the Secretary of AIIA Queensland. This article may be republished with attribution under a Creative Commons Licence. 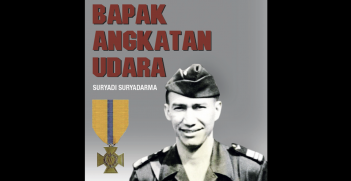 In Bapak Angkatan Udara: Suryadi Suryadarma, Adityawarman Suryadarma gives a biographical account of his father’s life and career as the founder of Indonesia’s air force.